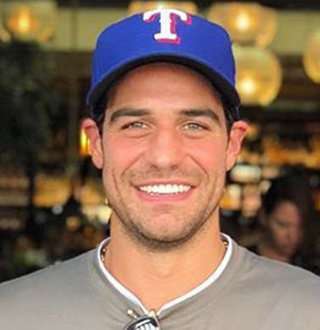 American television personality Joe Amabile, aka Grocery Store Joe, embarked on a beautiful journey to find love as he joined the famous show, The Bachelorette. But on his very first day, he fell from the mountain that he was climbing. Now look at him, he has it all, and he is Dancing With The Stars-- literally! The Chicago, Illinois-native came to prominence in the season 14 premiere of The Bachelorette. He was eliminated on the first episode of the season, but one episode was enough for him to win over fans. Because of his adoring fans, he got cast on a spin-off of The Bachelorette named Bachelor In Paradise. In 2018, he joined the popular dancing show, Dancing With The Stars. For the 27 seasons of Dancing With The Stars, Amabile is vying for the big prize competing against the likes of Nikki Glaser and Milo Manheim. He will be partnered with American professional dancer Jenna Johnson who herself will be competing against celebrity choreographers Derek Hough, Keo Motsepe and Cheryl Burke. With a star-studded lineup of dancers both amateur and pros, this season seems to be one of the most challenging installment throughout the whole span of Dancing With The Stars. 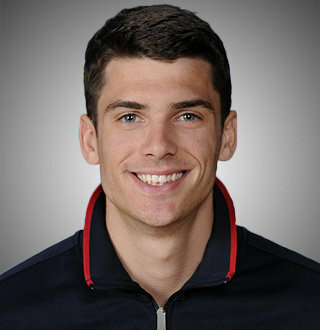 Joe Amabile was born in 1986, Chicago, Illinois. He celebrates his birthday in the month of April. He possesses the mixed ethnicity of Italian and Norwegian. His first job was trading; working on the Chicago stock exchange during when he was one of the youngest traders in the area. Being a man driven by passion rather than the glory of fame, he left his job at the stock exchange to follow in his family’s legacy. But one of his most impressive bios reveals that he owns and manages a grocery store in Chicago-- that’s where he got his nickname as Grocery Store. What is Joe Amabile’s Net worth? Although the reality star, Joe Amabile's exact figures of his net worth remains confined, he has probably garnished an enormous income from his very short starring on The Bachelor. Having said that, the 32-year-old probably added more to his unrevealed net worth after reaching the final stages of its spin-off, Bachelor in Paradise. Joe Amabile Dating Bachelor In Paradise Girlfriend, Kendall Long! After the turbulence of relationship drama between Joe Amabile and his girlfriend, Kendall Long, on the reality show, Bachelor in Paradise, the pair are officially together! The duo went through the usual stages of a love drama, where Joe instantly fell for Kendall while she wasn’t sure about him. She dated a couple of other guys on the show; namely Leo Dottavio and Venmo John until finally realizing that Amabile was the one for him. However, before the final rose ceremony on the show, Amabile broke up with his girlfriend after she voiced her uncertainty about their future together. Fortunately, his girlfriend, Kendall didn’t give up on him and flew to Chicago begging for forgiveness. And Wala, love prevailed! At Age 32, Joe Amabile Joins Dancing With The Stars! Just when you think you couldn’t find Amabile more gullible, he decides to stun everyone with his love for dancing. Yes, Grocery Joe decided to join the 27th season of the exotic dancing show, Dancing with the stars! Partnering alongside professional dancer, Jenna Johnson - who has already won the competition back in its 25th installment (Nov 2017). His partner Jenna was elated on getting him as his partner, while Joe, age 32, entered the dancing adamantly sure about his dancing skills or lack thereof! On his debut, the duo performed a quickstep. While the fans rallied for their adoring Amabile, the judges stayed critical of the trainee dancer who earned the lowest points of the night with 14/30 from judges Goodman, Inaba, and Tonioli. But from his past experiences of rising after falling, he’ll undoubtedly continue to grow as a dancer as well! Tara Beane Wiki: Family Status After 1999 Billi Beane Wedding, Together?